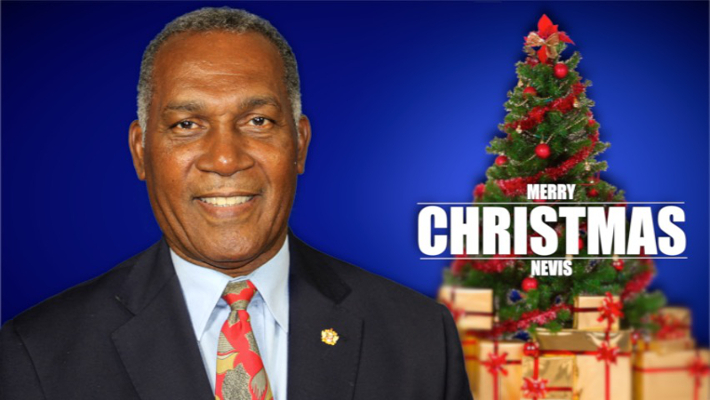 NIA CHARLESTOWN NEVIS (December 25, 2016) — The following is the full text of a 2016 Christmas message from Premier of Nevis Hon. Vance Amory. In this season of joy, peace, hope and love, I take this opportunity to wish each and every one of you a Merry Christmas and a blessed New Year. I hope this season finds us with a renewed determination to improve upon the things that we have control over and I pray fervently, that the love of God will be restored to all of us. This Christmas Season, I urge all to draw on your abiding faith in God and be of service to someone, regardless of their station in life. Help to lift them up and reassure them of their worth. Christmas is a time when we focus on spending time with our families and friends and truly expressing our love and appreciation for them. As we spend time with our families and share goodwill with our neighbours and friends, let us never forget about the true meaning of Christmas. Christmas means much because of a special child who was born to two faithful servants of God long time ago in Bethlehem. They could not find a place to rest and did so in a manger among the animals. Born in these lowly conditions and raised by humble parents, Jesus was the manifestation of God’s love and was a sign that God has not abandoned humanity. Christ message of peace and love resonates through the ages and provide a means through which we can reconcile with God. It is, therefore, important for us to remember the true meaning and the central message of Christmas and commit ourselves to live the teaching of Christ in words, thoughts and in our deeds. Let us never surrender to selfishness and hate but let us reconcile with those whom we differ and love those who hate us. In this special season, may our indifference change to closeness and rejection into hospitality. As we celebrate with the giving of gifts, let us never forget those who are in need – the poor, the down trodden and the dispossessed among us. Let us pray for the sick, aged and infirmed. Share a meal with those who hunger, you will be greatly blessed. Even as we rejoice, let us remember that for some of us this Christmas may not be a happy season. I think of those who may have lost loved ones, who may find the season challenging trying to fill the void that was created by the loss of that loved one. I also think of those who are battling an illness and find it difficult to experience and share the joy that this season offers. During this season of glad tidings, I pray that you can feel peace in the midst of the storm. In the words of Desmond Tutu, “hope is being able to see that there is light despite all of the darkness.” I trust that these few words of comfort might bring you solace, lift your spirit and mend your broken soul. For this Christmas, I think of our children. The miraculous birth of Jesus reminds us that children are a gift from God and that they are all special. In their innocence, love and laughter lies the spirit of Christmas. May we continue to cherish, love and protect them. Instead of a material gift that is temporary and can be easily broken, I urge you to give your children a Christmas gift of love, discipline and proper guidance which will last a lifetime. I further appeal to you, to render unto them the soft skills of etiquette and compassion. Help them in all their doings to display strength of character and courage of conviction. Fellow Nevisians, at this special time of the year, let us reflect on the past and draw closer to those who are dearest and nearest to us. Let us also look to the future with hope and optimism, knowing that things will get better. Most of all, let us recommit ourselves to follow the example of Jesus Christ our Lord and Saviour and usher in a more prosperous and peaceful country. From my family to yours and on behalf of the Nevis Island Administration (NIA), I wish you all a Merry Christmas and a bright and prosperous New Year.